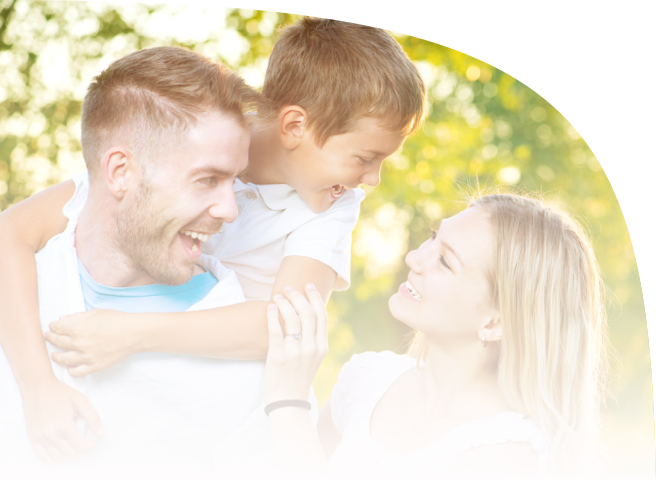 Our team of professionals at Valley Family Dentistry is here to support you and your family through a lifetime of oral health care. Our general dentistry services include composite white fillings, dental crowns, bridges, dentures, tooth extractions, and much more. We are accepting new patients, book your appointment today! A crown is a dental restoration that covers up or caps a tooth. It is cemented into place and cannot be taken out. Crowns restore a tooth to its natural size, shape and – if using porcelain – color. They improve the strength, function and appearance of a broken down tooth that may otherwise be lost. Porcelain – most like a natural tooth in color. Gold Alloy – strongest and most conservative in its preparation. Porcelain fused to an inner core of gold alloy (Porcelain Fused to Metal or “PFM”) – combines strength and aesthetics. A bridge is a dental restoration that replaces missing teeth. It is made of a false tooth attached to crowns which fit over teeth on both sides of a space. A bridge is cemented in place and cannot be taken out. Bridges build back your smile and help you to speak and chew properly by restoring your teeth to their natural size, shape and – if using porcelain – color. They help maintain tooth, bite and jaw alignment by preventing remaining teeth from shifting out of position. A complete denture restores function and appearance to a jaw with no teeth. It is the most cost effective way of replacing all the teeth in one jaw. A complete denture can also provide important support to facial structures such as the lips, helping to in maintain a more youthful appearance. Complete dentures, even under the best of circumstances, DO NOT have the same chewing efficiency as natural teeth. The ability to chew food depends on the stability, support and retention of the dentures. Stability, support and retention are affected by many factors, including the amount and type of bone, gums and saliva present in the patient’s mouth as well as the shape of the patient’s jaw and how it fits with the opposing teeth. A removable partial denture (RPD) is an appliance that replaces one or more missing teeth. It is not cemented in the mouth and can be taken out. The framework of an RPD is made of a metal alloy for strength. The teeth are made of white acrylic or porcelain. The teeth are attached to the metal framework by pink acrylic which simulates gums. An RPD restores function and appearance to a broken down mouth. It is usually the most cost effective way of replacing teeth, especially in a mouth where many teeth are missing. An RPD can also provide important support to facial structures such as the lips; helping to in maintain a more youthful appearance. Simple extractions are performed on teeth that are visible in the mouth, usually under local anesthetic, and require only the use of instruments to elevate and/or grasp the visible portion of the tooth. Typically, the tooth is lifted using an elevator, and using dental forceps, rocked back and forth until the periodontal ligament has been sufficiently broken and the supporting alveolar bone has been adequately widened to make the tooth loose enough to remove. Typically, when teeth are removed with forceps, slow, steady pressure is applied with controlled force. Surgical extractions involve the removal of teeth that cannot be easily accessed, either because they have broken under the gum line or because they have not erupted fully. Surgical extractions almost always require an incision. In a surgical extraction, soft tissues are elevated covering the tooth and bone. The dentist may also remove some of the overlying jawbone tissue with a drill or osteotome. Frequently, the tooth may be split into multiple pieces to facilitate its removal.